It's easy to assume that people making decisions in a fairly rational and straightforward manner: you are presented with a choice; you weigh up the potential outcomes of those choices and form an intention; you execute on that intention. The truth is, real life is a lot more complex. There are a number of models that take into account a range of factors that help formulate our intentions and thus our behaviour. 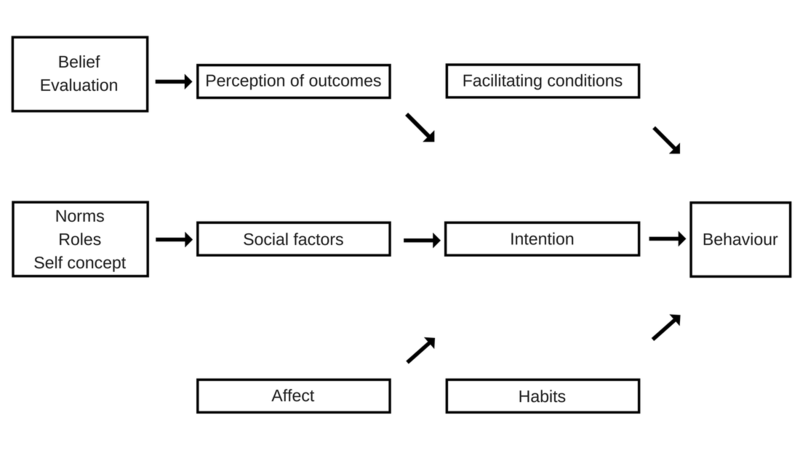 However, the following model, based on Triandis' Model of Interpersonal Behaviour, is one I have found most useful when trying to understand why people (myself or others) are acting the way they are.